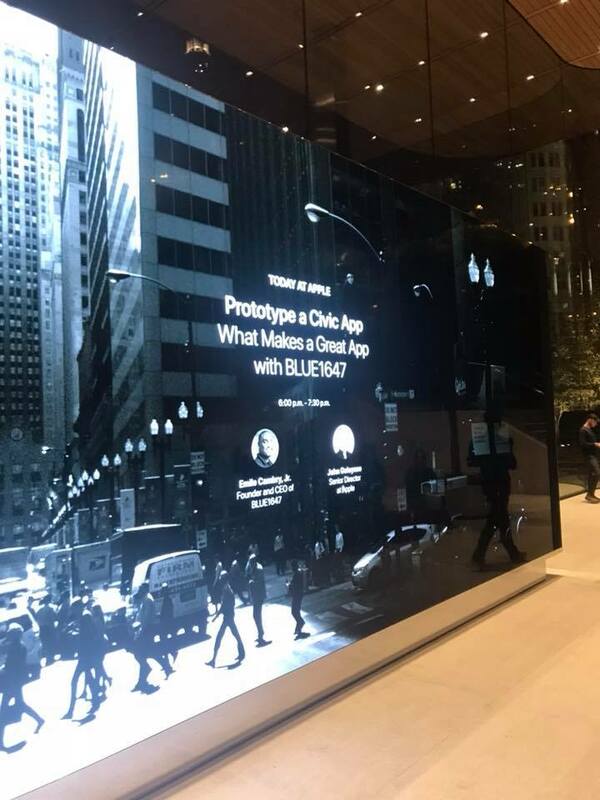 Blue1647 partners with Apple in the Grand opening of their new Chicago Michigan Avenue Store. As part of the opening, Apple is engaging the local community in its “Chicago Series,” a month-long set of varying events, beginning Oct. 21. Events will include photography and music workshops, as well as more tech-centered ones, some of which will be hosted in partnership with local tech incubator Blue 1647. Tech events include app-development classes and startup workshops. To see the full event schedule, go here. Blue1647 looks forward to bringing the weekly classes that will be located in the Michigan Avenue Store. Prototyping a Civic App.